Our Cork Stripping with adhesive is made with 100% fine grain cork. The stripping is easy to cut and shape; our cork is perfect for industrial, commercial and home use. All of our stripping is made with high tensile strength as well as solid compression to alleviate cracking. The strip includes a permanent pressure sensitive adhesive on one side for secure placement. Simply peel the liner and press firmly to the surface. This product can also be used by hobbyists and for creative craft projects as it is easy to cut and apply to many different surfaces. Use to repair your musical instruments or your miniature railroad tracks and any other creative projects you are working on. 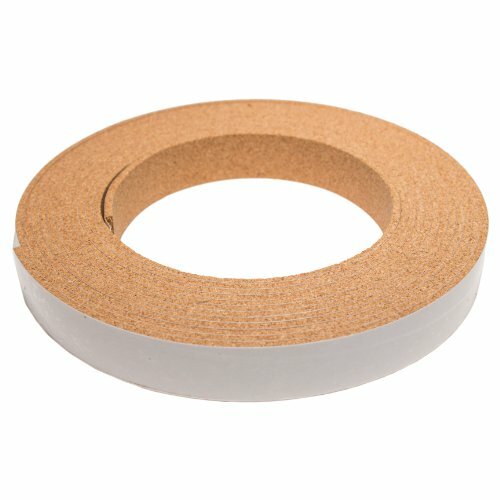 ** For bulletin boards use 1/4” thickness or higher without adhesive backing. Please check your local hardware store for suggestions on what glue to use for better results.